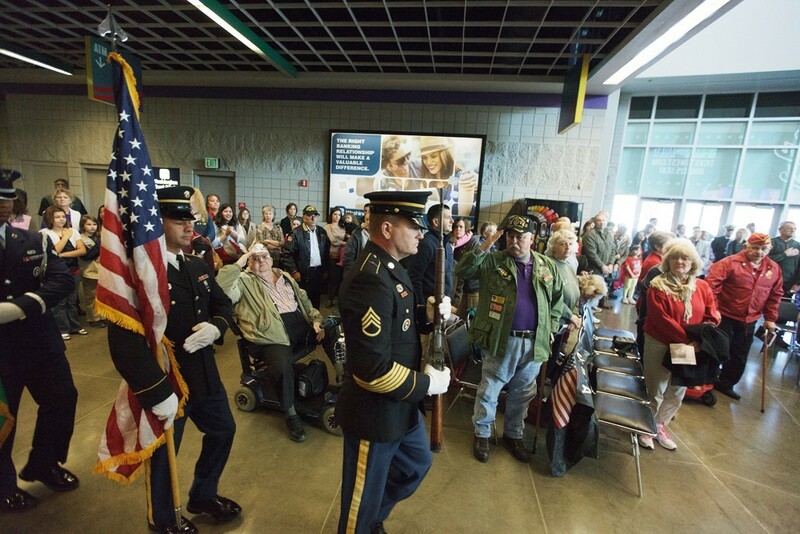 A scene from 2013's Veterans Day ceremony at the Spokane Arena. To recognize the sacrifices of our region's military veterans, several area restaurants are offering free meals or special discounts to say thanks. Pass the word along, or make reservations now to share the appreciation from all of us for helping keep America the land of the free and the home of the brave.